This is both an ethical and an impact investment! Question: Best place in the world to grow a tropical fruit? Projected return US$6,000 to $12,000 per annum. 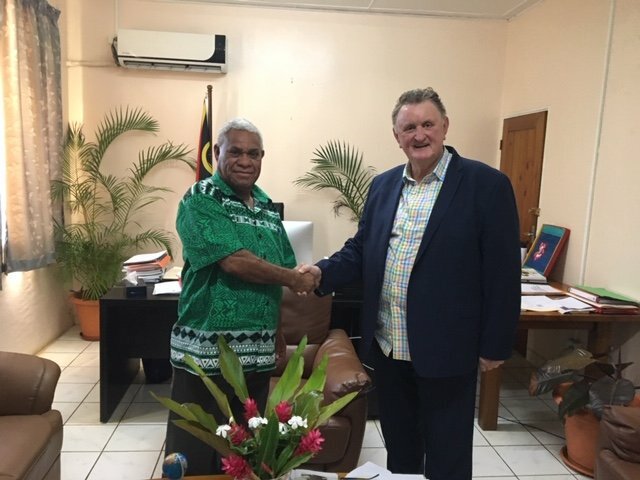 Richard has been an appointed Trade Commissioner for Vanuatu 2012-2015 and 2017-2019. 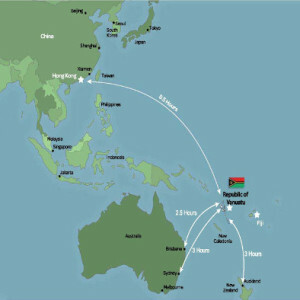 He introduced Vanuatu to the Chinese “One Belt One Road” concept and has attended trade expos to promote investment into Vanuatu. with Vanuatu Investment Promotion Authority (VIPA) certificate #1679. 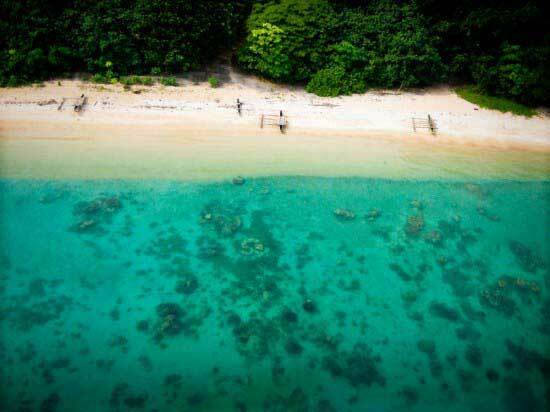 The farm is located at Espiegle Bay on Malekula Island, Vanuatu. Ethical investment is also known as sustainable investment or impact investment or socially responsible investment (SRI). The term describes an investment process that incorporates environmental and social factors when selecting investments, in addition to the objective of achieving a competitive financial return. 2,000 acres of waterfront coastal land was purchased in 2008 by the development company and approval was obtained for an agricultural Strata Title Lease, thereby providing to investors equity security by Land Title. Simply explained, it’s an opportunity for first-world investors to invest in a third-world country, with initial equity outlay secured by land title in an organic agricultural farming project that produces not only a positive impact on the local population by providing long-term employment, but also supplying from the sale and export of the ethical product being the organic fruit, red papaya, a first-world return (ROI) for the investor. While investments rise and fall, they seldom do so in a straight line. Stocks and bonds grow, collapse, and are often at the whim of elements that are completely out of their control. You need only look at gold as the prime example. After 12 years of solid gains, it is experiencing a decline in value that can best be described as substantial. What I have discovered recently is that there is a rather shocking investment trend that has seen steady results for more than two decades. There isn’t anyone on this Earth that can get by without food, with what they consume measured in calories. A statistic that may be surprising to everyone is that the average calorie per day consumption is up a staggering 24.6% since 1964. What that numbers tells us is that people are eating more than ever before, with the average daily number coming in at 2,940 calories. 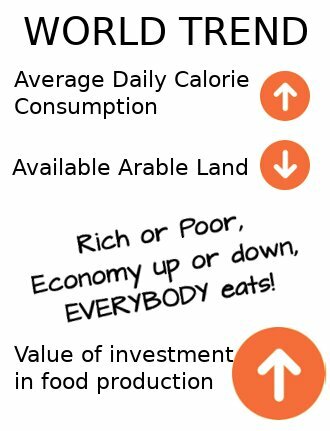 That data would suggest that the amount of arable land per person is also on the rise. In reality, though, the opposite is true. The World Bank has released data that shows the global average of arable land per person has been on a downward trend since 1992. Furthermore, since 1964, only once has the global average of arable land per person gone up in a single year. Every other year during that time, the average has been on a downward spiral. These are strong balance sheets among farmers in a number of regions, encouraging expansion, as well appetite for agricultural land among investors, keen for both capital and operational return and also as a mechanism for portfolio diversification. NOTE: Vanuatu law is privacy-orientated (one of the things we like about it! ), so we are not allowed to show names or faces publicly. However these are GENUINE testimonials from existing owners. I am with South Pacific Plantations for 5 plus years now. Being an owner of a farmlet in South Pacific Plantation and also having resided in Vanuatu for 6 years I have seen first hand the positive impact that this project has had on the local population, providing jobs, infrastructure and education. After our refreshing swim we went for a drive up top to the plantation to see where the clearing has begun for the pawpaw to be planted. We saw the team of local men working hard in clearing the vegetation. 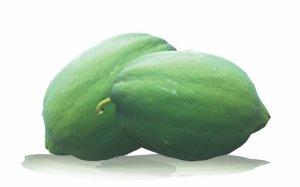 We feel proud that by purchasing our Pawpaw farms, we are helping the local men with employment so they can support their families. This development will improve the lives of the local villagers and Vanuatu in general with the flow on effect. The project also helped in developing the local community in Malekula Island by sponsoring local project such as clinic, an experimental plot of land for agricultural University students, jobs for locals and other local initiatives. Investing in a project where you can guarantee profits and positive social impacts for local communities is what I was looking for. This approach of South Pacific Plantations company in developing and managing the project creates long term sustainability and the required balance between financial investment, the nature, and the development of local communities. I would like to thank and recommend the team from SPP, especially Rebecca & Richard, for making the nervous moments of offshore investing a pleasurable experience. SPP has kept me abreast in every stage of this wonderful investment opportunity. I am looking forward to a long term partnership with SPP with future investments on the horizon. Thank you so much for your professionalism and care. When we entered the village, everyone in the village knew and respected Mr. Richard. So we were treated like a guest of honor. Title to land is in your or your company name. 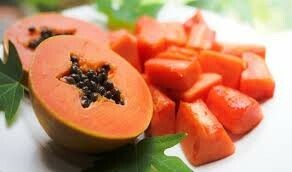 Papaya has high demand: fresh fruit, dried, seed oil, extract. Investment provides eligibility for Permanent Residency application, which we can assist with. This is beautiful Espiegle Bay. 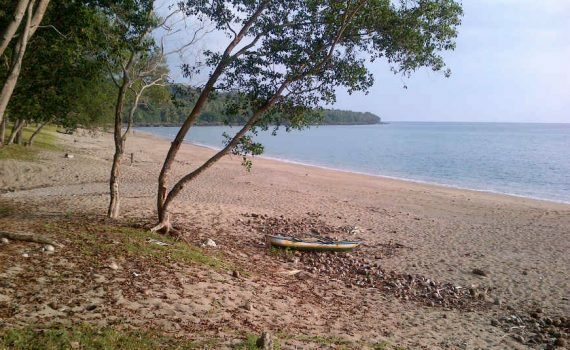 Malekula farmlets reaches back two kilometres from the coastal high water mark. See this beach and more farm details in the video now.